Proficiency Tests are designed to test the laboratories quality system workflow and processes. All of our Proficiency Tests are accreditited to ISO/IEC 17043 standards demonstrating our company’s commitment to quality, while providing our customers with the assurance that the tests they order will be of the highest quality in the industry. If your laboratory is interested in testing an individual, please refer to our Competency Testing. 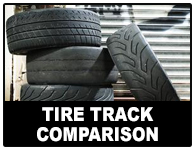 If your laboratory is interested in comparison training materials, please refer to our Comparison Exercises. Since starting in 2015, RS&A has developed into one of the leading Forensic Proficiency Testing providers serving over 229 agencies in more than 16 countries. 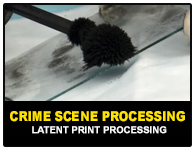 Our ultimate goal is to help forensic laboratories meet their quality requirements, as well as, providing them with the best forensic products on the market. 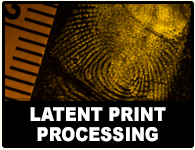 Currently, RS&A offers 6 comprehensive proficiency tests in Latent Print Comparison, Latent Print Processing, Crime Scene Processing, Tenprint Comparison, Footwear Comparison, and Tire Track Comparison. RS&A’s Proficiency Tests are produced using the latest imaging and printing technology, providing the highest quality images on the market today. We understand the unique challenges associated with testing because we are practitioners too. Competency tests are designed to test the skills and abilities of individual examiners. Our competency tests cover a wide variety of comparison abilities, such as orientation, sufficiencysufficiencysufficiencysufficiencysufficiencysufficiency and conclusions. 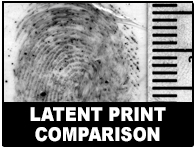 These tests are valid and used as a reliable means to measure Latent Print Examiners knowledge, skills and abilities at key points throughout their career path. If your laboratory is interested in testing the laboratory quality system then please refer to our Proficiency Tests. Competency is NOT a stagnant unchanging entity. 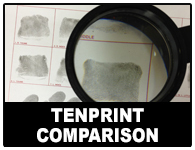 All forensic specialists should strive and are most often expected to grow in skill level throughout their career. 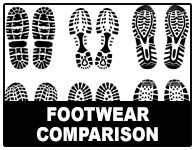 A "One Size Fits All" competency testing concept simply does not meet the need of today's forensic community. From screening potential trainees to ensuring that your more "senior" LPEs can still make the tough calls, and numerous career stages in between, RS&A has designed fair and thorough competency tests to answer these tough questions. © 2002, Ron Smith & Associates, Inc.